Last year when the Profanity Wolf Pack was killed in Washington after depredation on cattle, Washington State University predator researcher Robert Wielgus suggested in several articles that the livestock losses were preventable, and thus, so was the killing of the Profanity Pack. Wielgus was subsequently punished by the university who placed a gag order on him, and ordered him not to speak to the media. Worse, the Washington legislation led by anti-wolf forces have attempted to get him fired (he has tenure) and funding for his on-going research has been cut. In multiple ways, they have tried to ruin his academic career. Much of Wielgus’s research has focused on predators and their social ecology. 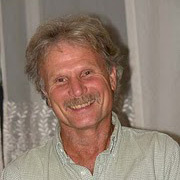 Starting in 2002 he published peer-reviewed papers that suggested hunting cougars created more human conflicts by eliminating dominant male cougars which act as a social police officer on younger animals as well as skewing age structure to younger less experienced cougars who would be more likely to kill livestock. Wielgus research suggested that predator control and hunting was actually increasing livestock depredation and other encounters with humans, and having the opposite effect from what proponents suggested. This was heresy. Since that time, he has done more research that confirms these relationships between hunting and cougars, but also found similar effects from hunting of wolves. He published research that found that predator control and hunting destabilized pack dynamics. Obviously, this does go over well with ranchers and/or hunters who maintain that predators must be “managed”. In retaliation for his publications, some Republicans in the legislature have threatened to cut off funding for the university’s medical research facility. As reported in the Seattle Times, “ … Highly ranked senators have said that the medical school and wolves are linked. If wolves continue to go poorly, there won’t be a new medical school,” Dan Coyne, lobbyist for WSU, wrote his colleague, Jim Jesernig, another WSU lobbyist, two days after the paper’s publication, state records show. Such interference and influence on academic research by the livestock industry is not unusual. There are truly “sacred” cows in the West, and anyone who dares to challenge the hegemony of the livestock industry will likely suffer. I had my own experience similar to Wielgus. Back in the 1990s, I had applied to a Ph.D. program at Montana State University in Bozeman. I had worked with a professor there to write a grant proposal to provide me with financial support for four years. I was a well-known critic of the livestock industry and had been named the “Ralph Nader” of the Montana environmental community by the Montana Stockgrower’s Association because of my frequent critiques of livestock impacts. It was not meant to be a compliment. Over the coming months, the livestock industry, and legislators in the Montana legislature (many of whom are connected to the livestock industry) made similar threats to the university as occurred in Washington. My academic advisor who was up for tenure was told that he might not get it if he continued to work with me. And there were suggestions made to the President of the University as well as others that perhaps funding for the school might suffer if I were permitted to attend. This created a big dilemma for the University since I had already been offered and signed a contract granting me four years of support, as well as admission to the school. To retract that would be legally difficult. My advisor, who had worked hard to get an appointment to MSU, continued to support me and said he would accept the risk of losing his bid for tenure. In the end, I decided that I did not want to jeopardize his career, and I withdrew my application to study at MSU. I was, however, disappointed when I wrote the University President explaining what had happened, and he responded in a non-committal way by telling me he was sorry I had a “bad experience” at MSU. He said nothing about investigating the political influence of the legislature or any concern about academic freedom. That’s when I knew the influence went all the way to the top. Ultimately, I said nothing publicly about my experiences because at the time I was still interested in pursuing an academic career as a professor, and I was advised that if I made a stink, no university would want to hire me. I wind up going to the University of Oregon for graduate studies, but even in this liberal bastion, I learned that the fear of the livestock industry still influenced academic decisions. While I was studying at the U of Oregon, a friend of mine who was a professor at the time in another department told me about how a hiring committee he was on backed down from hiring Frank Popper, a Harvard graduate and a well-known advocate of the Buffalo Commons for the Great Plains because of the fear his controversial plan to replace cattle with native wildlife would prompt the ire of the Ag folks on the Oregon legislature, and might lead to a reduction in funding. Popper was not hired. Another professor I know was forced leave his department after his research demonstrated significant livestock impacts to riparian areas and hence fish. I could go on with numerous other examples of how the livestock industry influences academic research and what is considered a viable topic of research. The experience of Wielgus at WSU is not that unique. Most academics know this and avoid challenging the Bovine Curtain. If you want to do research that demonstrates how livestock is “compatible” with wildlife or “improves” the soil or can “reduce” wildfire, you will be rewarded with promotions and celebrations. But if you dare to question the control of the livestock industry on western lands, you do so at your risk. And I might add the same resistance to discussing livestock impacts on public lands exist among many so-called conservation groups as well as state and federal agencies who often recite the same happy talk that “well managed” grazing “improves” wildlife habitat, can be made “compatible” with predators or precludes subdivision. Well said. We need to continue to keep pushing on the question…ever more timely…about whether it is the best and highest use of public lands in the West to have domestic livestock grazing. With respect to cows, some facts: U.S. cow census (any given day)- 100 million; number of cows using public lands in West – 3.5 million (3.5%); Nevada – 350,000 (0.35%). All the cows in Nevada could disappear and nobody would notice anything. BLM spends 120 million/year to support livestock grazing on public lands. Public land ranchers are unfairly competing against private land ranchers with low, low grazing fees…several times below market rate. Etc, etc…..public land domestic livestock grazing needs to go. Raise beef on private land, not public land!! I have observed similar political impacts at the USFS,USFWS,FAO/UN,WDFW, IDFG, Idaho State University, Iowa State University, and Oregon State University when natural resource conservation issues conflicted with resource extraction; either timber, livestock, or water quality and fisheries. It did not appear to be a problem at Arizona State U. where I received a PHD or at UC Berkley as an NIH Fellow Post Doc. Probably the best place to be then is a private college or university, and to identify funding sources that can’t be taken hostage by the agro-industrial complex. Folks that support wild and free public lands need to assemble an endowed program to support research that investigates the full impact of cattle on the landscape, and viable solutions/alternatives. I’ve seen the same stunt pulled in MSU, UM, and the USFS. The livestock industry has no scientific basis for their beliefs, just a “Klan Agreement” where they must have political solidarity on the opinion that all predators are bad. I think the best thing to do that can be done is simply terminate ALL public land grazing allotments and pastures so that the ranchers have LESS basis to demand predator extermination. Bluntly, consensus has never worked, and opinion overrides facts.